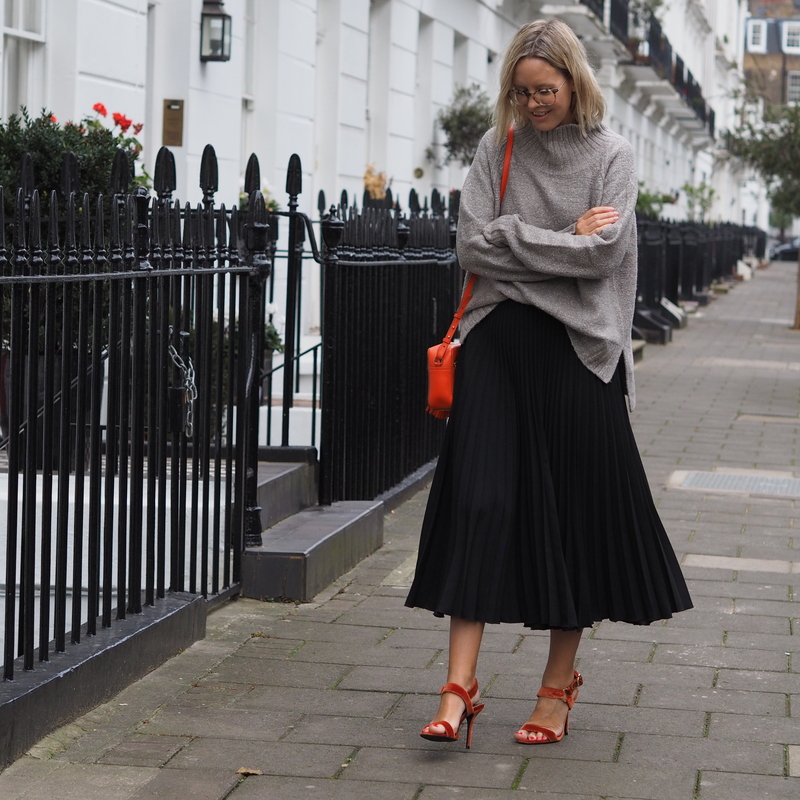 I don’t want to give away any of my styling secrets (it’s how I make my living, after all), but the golden rule of dressing is to mix opposites. 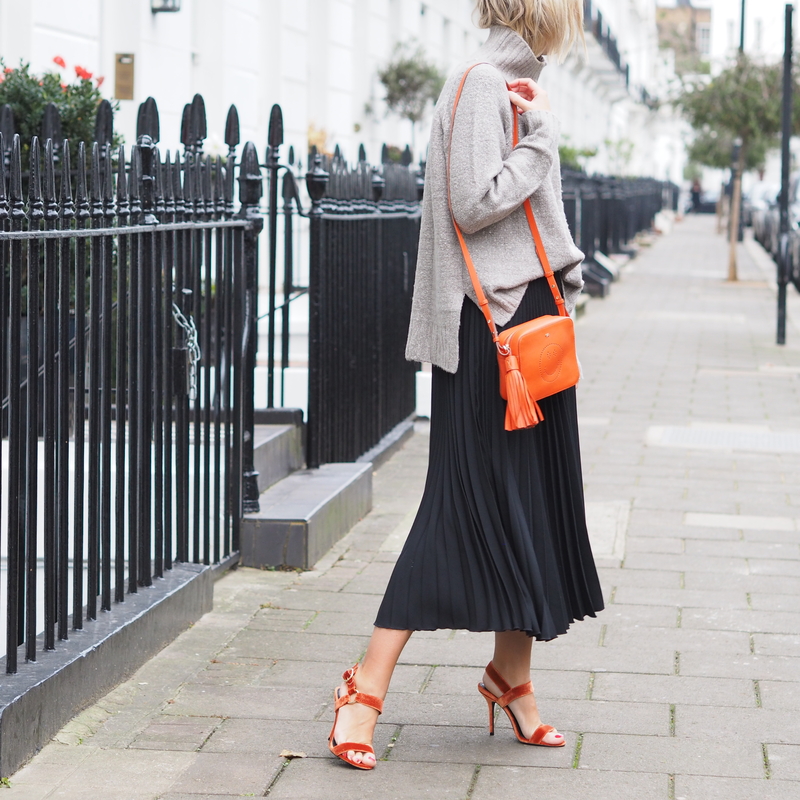 So a casual jumper with heels, light textures with tough – it’s quite a simple formula really and it’s the basis behind this outfit. 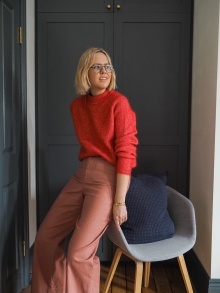 This jumper looks amazing with jeans, yes, but take it away from its natural habitat and it makes an otherwise dressy look feel that little bit cooler. This Next skirt has also been a useful addition to the wardrobe. Yes, I have a velvet one too (!) but feel this one is more workwear-appropriate. It’s quite heavy so keeps you surprisingly warm and works minimally styled with trainers and a crew-neck as well. With any luck, this post should be sitting on my shiny, new website. Nothing is really changing, it will still be the same content, but hopefully it will be easier to use, navigate and read. It’s been a long time coming (I’ve been on the same original template I started back in 2012) and I’m excited to be working on a better, more user-friendly site. I hope you agree! I tried on the H&M jumper and the neck didn’t seem to sit quite right; it was quite floppy. Are there any tricks to it and/or did you adjust it for the photos? It’s super soft and comfortable and I want it to work desperately. Mixing opposite- not that simple. Too often mixing light and rough textures, dressy and casual, patterns, styles etc just doesn’t work and looks as though you simply don’t know what you are doing. This looks great! If only there was a simple formula for how to get it right, but I think it you really need a very good eye and sense of style.